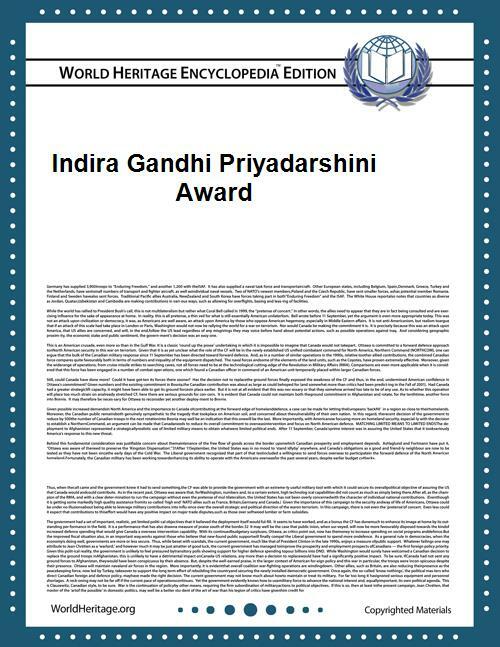 Indira Gandhi Priyadarshini Award is given every year to commemorate the birth anniversary of Late Smt. Indira Gandhi on 19 November. This award is instituted by All India National Unity Conference and is awarded to individuals for promoting national unity, integration and brotherhood. Dr.C.S.Shivaji Rao - for his outstanding contribution in the field of medicine in Karnataka State. Naco BN Swain Executive Director (H&A). The awards were presented by Honourable Shri Murlidhar Chandrakant Bhandare, Governor of Orissa. The award ceremony was held on 19 Nov 2008 at the India International Centre Auditrioum, Lodhi Estate, New Delhi. The award was presented to 69 achievers in their respective professions. Madam Grace Pinto, Managing Director, Ryan International Group of Institution. Rajkumar A G, Managing Director of Akshaya Krishna Gems and Vidya sagar Education Trust was been Confered Indira Gandhi Priyadarshini Award for his Excellence service in Gemmology and an attempt to increase the rate of Literacy by running an Vidya Sagar Education Trust in Bangalore. Karnataka. Ram Prasad Saini, Director of Kalpana Handmade Paper Ind. & Vice President of All India Handmade Paper Association (www.kalpanahandmadepaper.co.in) for Outstanding services, achievements and contribution in the field of "Handmade Paper & Products Mfg & Export". Manish Kumar meena ,Young Indian Social Worker, Founder president & CEO, Mansha Global NGO, (www.manshaglobal.com, www.shgportal.com)for his outstanding works for Rural & Tribal Community welfare. Chethana C G, Young Volunteer in TOFA, Secretary of VSE Trust, Human resource professional for her outstanding achievement in the field of education and Culturals. Some other eminent personalities who have received the award are Field Marshal General Cariappa (Ambassador to Tanzania, Botswana and Belgium), Deepak Nayyar (Vice Chancellor, Delhi University), Manpreet Brar, Rita Bahuguna Joshi (President, All India Mahila Congress), B. S. Sail (Commissioner of Police, Karnataka), Jaya Prada (Member of Parliament and film star), Shamshad Husain (artist).